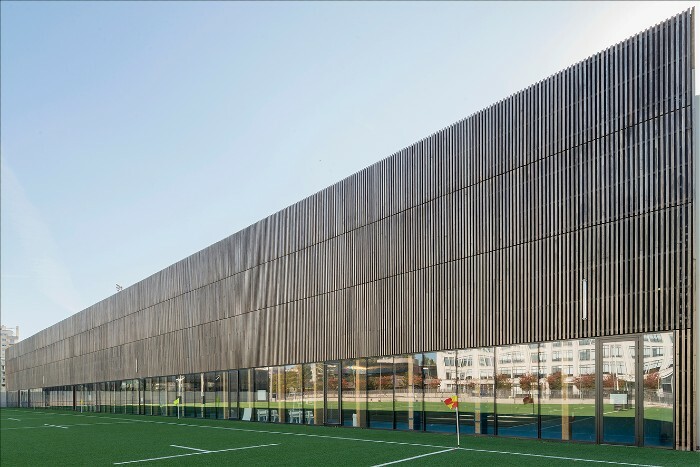 Le Gallo Sports Complex in Boulogne: architecture using heat-treated wood that has charm! 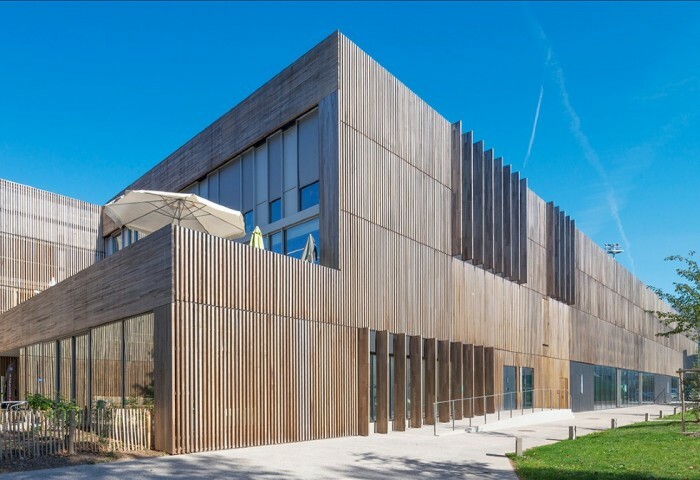 Le Gallo Sports Complex in Boulogne: architecture using heat-treated wood that has charm! 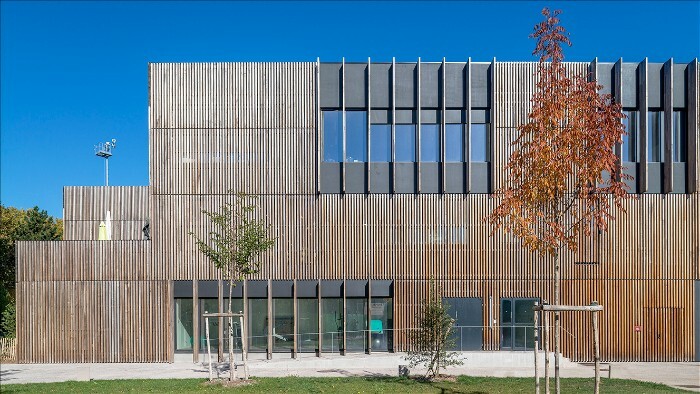 Le Gallo Sports Complex in Boulogne: architecture using heat-treated wood that has charm! 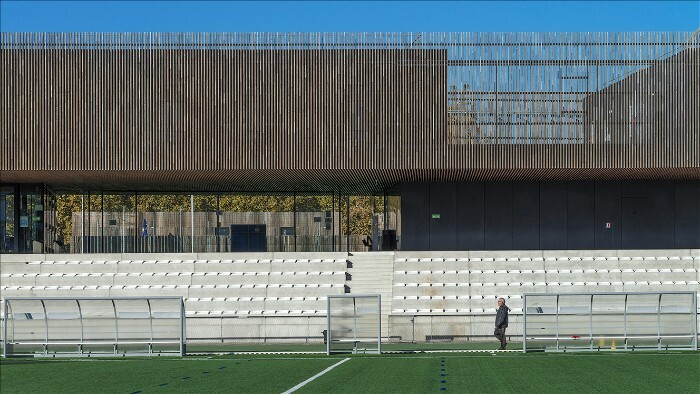 While walking along the banks of the Seine in Boulogne-Billancourt (92), you’ll probably notice the beautiful heat-treated vertical wooden slats of the recently constructed Le Gallo sports complex. By choosing Ducerf materials, the town and the architect went for excellence and character. The Ducerf group had to contend with complex specifications, but was able to meet the various requirements of the project, ensuring a result that was more than successful! 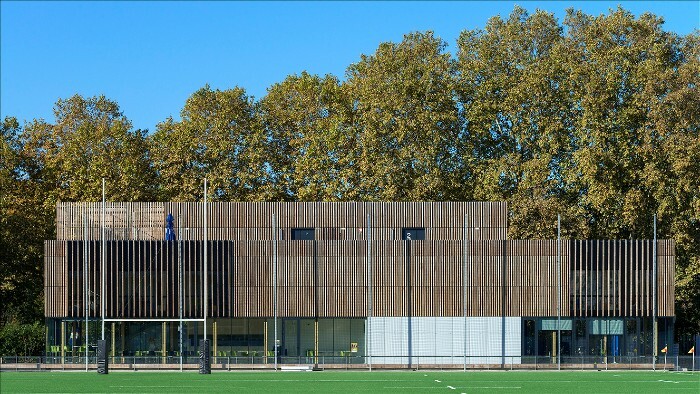 The Le Gallo project, with its 125 m3 of hardwood cladding, is one of the largest projects that the Ducerf group has been involved with. 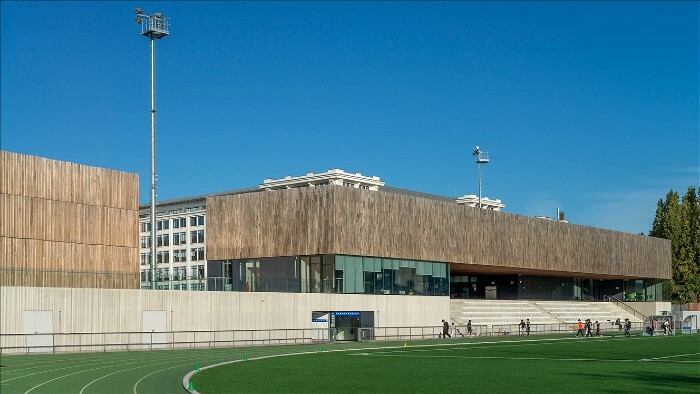 It was the Bruno Mader architecture firm which, at the request of the town of Boulogne, designed this new sports complex. It includes a football pitch, an athletics track, a rugby pitch and 6 tennis courts. The spaces are intelligently marked out by 3 buildings that will house the stands, a weights room, a sports hall, technical facilities, offices and even a restaurant. The first 2 volumes have been designed in the same way with a row of windows on the ground floor and wooden cladding on the upper floors. For the 3rd volume, an elongated trapezoid building, the architect incorporated cantilevered beams into the last layer, which underwent the same heat treatment. 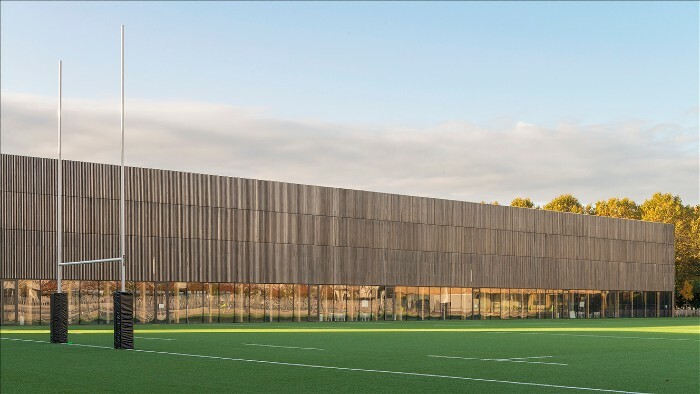 The sports hall is probably the most impressive with its wooden lattice beams that convey both a great feeling of solidity of the volumes and a certain lightness thanks to the abundance of natural light. The Le Gallo complex has a strong identity while blending perfectly into its surroundings. To comply with the specifications of the project and achieve this original result, the choice of technical materials by Ducerf won over the decision-makers. Heat-treated poplar was selected because it offered all the desired qualities, the most important of which are durability and aesthetic nature. The thermal treatment of the material gives it hydrophobic qualities, which makes it perfect for a building on the banks of a river: this is clear benefit for a project built in a potential flood zone. THT poplar also provides, according to Thibault Chastagnier, the project manager for Ducerf product development, a very specific finish. “Poplar meets the special requirements for the finish. They liked the greyed appearance, the ageing effect, proposed for this urban project.” The group was, however, also able to supply finger-jointed pieces, and large solid pieces, depending on the building. “The solid boards give the buildings a sleek, upward sweeping movement. The challenge was to supply boards the size of a storey, namely around 3 metres. Supplying the necessary volume in lengths of solid wood was the main challenge.” But we managed it! For this project, Ducerf was also able to highlight the environmental arguments. Heat-treated poplar offers real benefits. The raw material, a hardwood, is a renewable and recyclable resource. That makes this material a champion of ecology, as it helps fight the greenhouse effect. The Town Council of Boulogne oversaw the project and was also taken with this environmental aspect, and particularly with the origin of the wood. 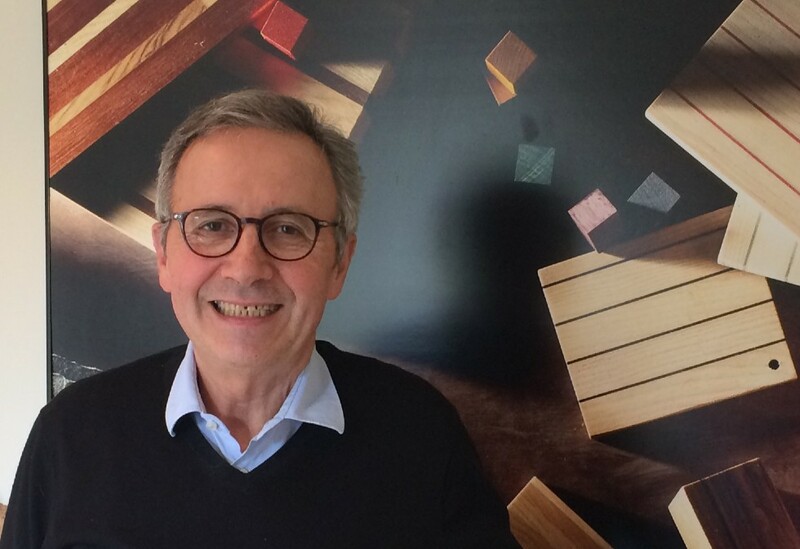 Thibault Chastagnier proudly announced that “for this construction project, only French wood from the regions of Burgundy-Franche-Comté and the East of France will be used”. 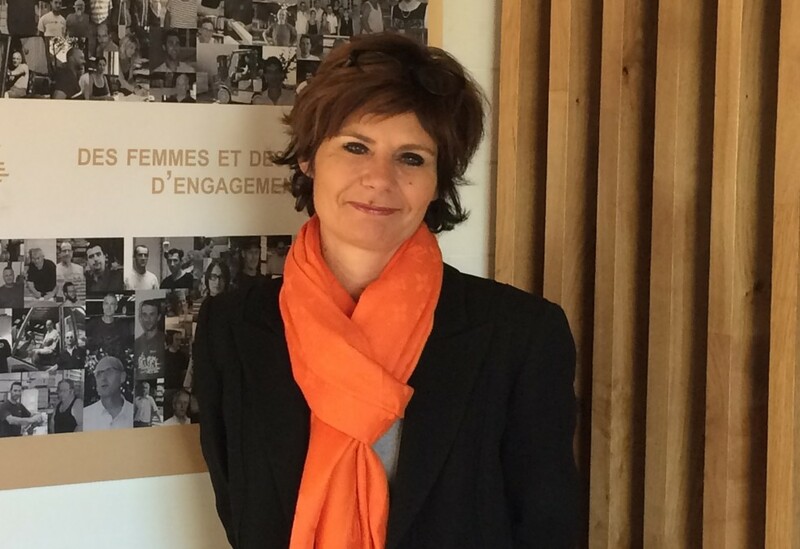 According to Laurent Roulette, the project manager at Cruard Charpente, the ecological benefits are just as clear: “The heat-treatment process means that local species can be used even though they are not naturally meant for outdoor use. After heat treatment we end up with a new material that is more stable and long-lasting, so it perfectly meets the requirements for use”. The originality of the project also lies in its execution: Cruard Charpente Construction Bois was in charge of that. According to Laurent Roulette, works manager, “from a carpentry point of view, it was useful for us to be able to make pre-fabricated modules in the workshop”. The buildings were constructed using these modules, although we had to make sure there was enough clearance to transport them. “The modules were 3 m long and 2.40 m wide. The aim was then to put them in place quickly, with as few hitches as possible. The method was designed to enhance the aesthetics of the project: the slats are emphasised because there are no visible bindings. This means that the external cladding is highlighted. Laying modules meant we were able to work quickly, protecting the boards from unforeseeable site issues, and ensuring that the patina was uniform and even”. The specifications were demanding and there were many difficulties, but the project was completed successfully thanks to good coordination between all parties involved. 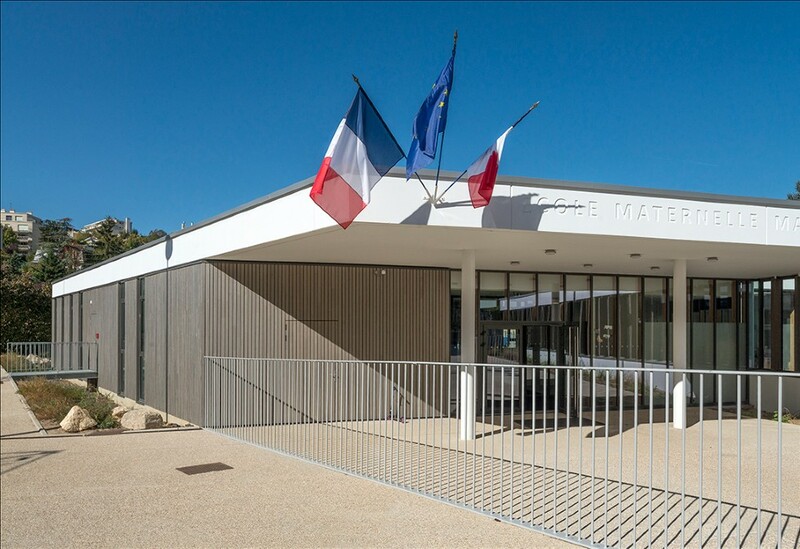 “Laying out the façades was complicated because of the length of the boards required, but Ducerf provided excellent support, offering the best possible solutions within the project deadlines,” explains Laurent Roulette, the works manager at Cruard Charpente. Deliveries were staggered so the pre-fabricated sections could be assembled at the workshop, one building at a time. Once the façades were in place at the site, we transported the various modules and raised them into position with a lorry crane. The entire section was then assembled very quickly. The assistance was also highly appreciated. Thibault Chastagnier went to the site. I contacted him several times. It was all very professional”.